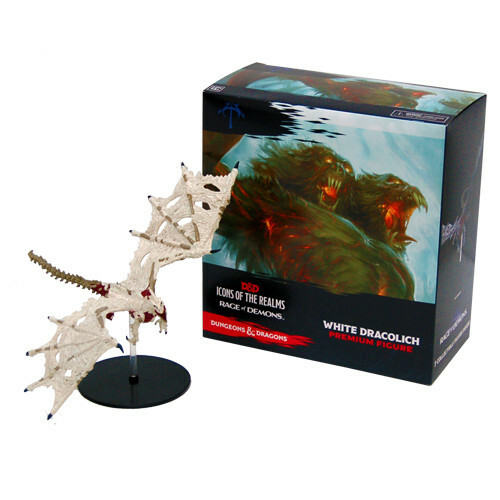 The white dracolich is a step up for the wizkids icons of the realms line. The detail is amazing. You can almost smell its flesh rotting. The pose is fearsome, like its swooping down to destroy. My pc minis jumped off the table in fright. The only thing I found strange was that wizkids didn't choose a huge demon i.e. one of the demon lords, for the "Rage of Demons" set.